The Android P release date is next month, according to Google’s official timeline, and, right on time, you’re able to download Developer Preview 3 starting today. This is version of the software is described as ‘near-complete’, with a big focus on bug fixes and stability, as noted by Google VP of engineering David Burke. Android P Beta 3 builds on top of the final APIs, features and new emoji we got with Android P Beta 2 in early June. This pace makes a August 2018 release date look even more likely. Ready to give it a whirl? There’s enough reason (and, now, enough stability) to join the Android public beta if you don’t want to wait until August to try out this year’s changes. You can do so by enrolling here. 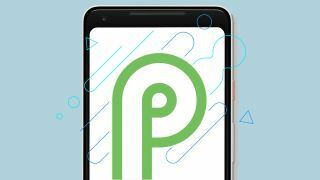 What sets Android P apart from Oreo, however, is just how many devices are supported in the beta – it’s not limited to Google devices. OnePlus 6, Nokia 7 Plus and the Essential Phone are all supporting the Android Beta program. This could lead to a much wider set of devices supported in the full release.